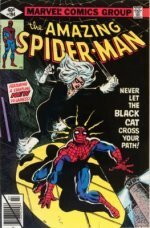 We still like this book, but it is deservedly down on the 100 Hot Comics list. There is not enough meat on the bones of the speculation about Deadman. He is at best a second-string DC character, and there are surely tons of bigger heroes the DC Universe should tap into before him. If you IGNORED my advice about proceeding with caution last year, then you'd be sitting on a healthy profit on this book! For starters, this is a 1960s DC book. DC comics notoriously are scarcer than their Marvel counterparts. 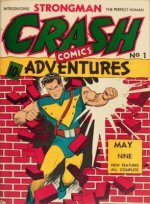 Strange Adventures as a series is pretty unpopular, and copies of the key issues are not so easy to locate. 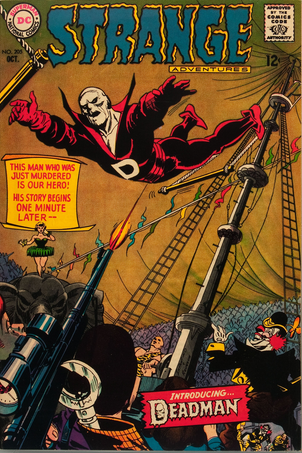 Guillermo del Toro is supposed to be producing a movie featuring Deadman, plus there is strong rumor that Deadman will appear in the Justice League Dark movie. Increasing demand and limited supply are usually good indicators of a rising price, and this book is no exception. It's one of the riskier properties in our 100 Hot Comics list, so proceed with caution. 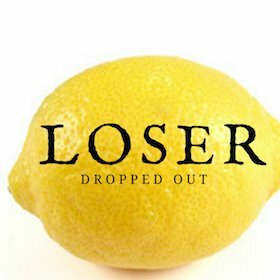 Low-grade copies are common. Stick to VF-NM or higher. 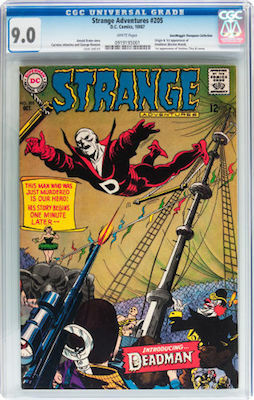 A fresh, crisp CGC 9.0 copy of Strange Adventures #205 (1st Deadman) is our recommendation. Click to find yours!